Online ordering menu for Hatfield Pizzeria. 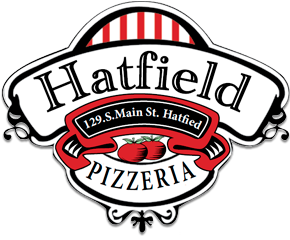 Hatfield Pizzeria strives to bring the good people and visitors of Hatfield the best pizza in town! We make everything from scratch and use only high quality premium ingredients in everything we make. Our menu also includes favorites like Pasta, Subs, Stromboli, Baked Dishes, Burgers, Wraps, Salads, and of course dessert! We are located on South Main Street near Poplar Street just down the road from Main Hotel, just 5 minutes south of Hatfield Community Park. Order online for carryout or delivery!